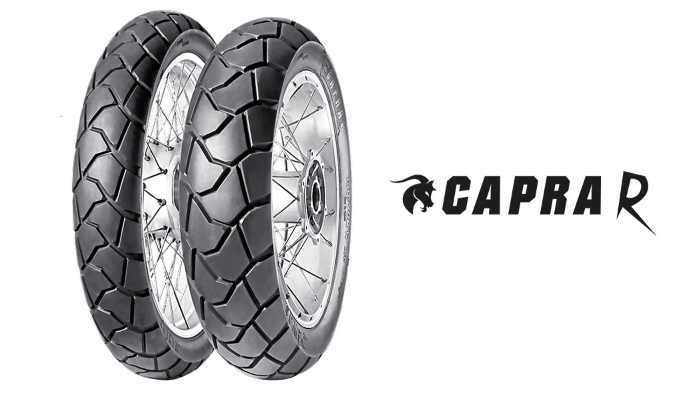 The Anlas Capra R is an ideal tyre option for adventure bike riders who do a mixture of road and off-road riding. 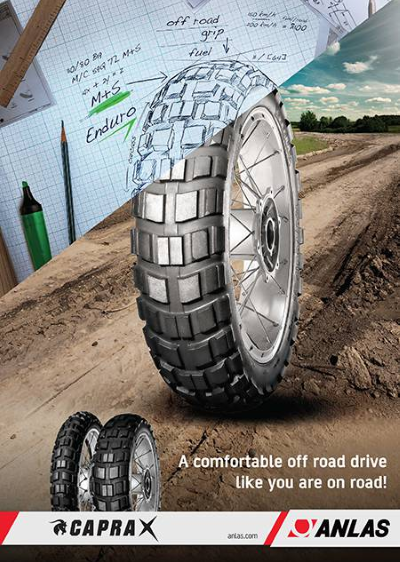 It offers excellent handling and on-road grip in both wet and dry conditions, and also works well on the trails. 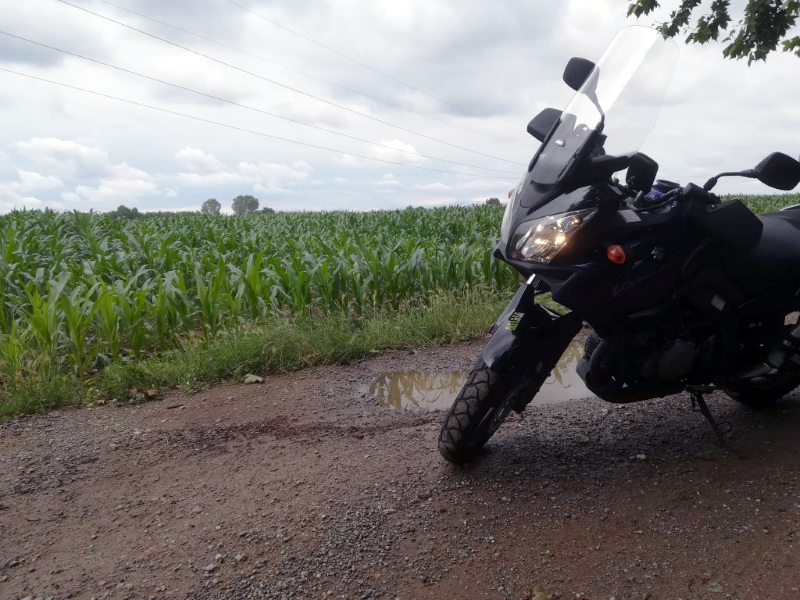 Over in Italy, our Anlas colleagues challenged online magazine Motospia to put a pair to the test on their Suzuki V-Strom, and they have now covered 8,500 kilometres on the tyres on a range of different terrain types. 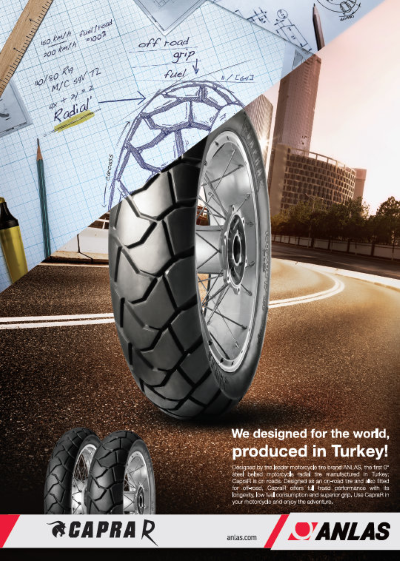 The Motospia team also covered more than 1000 kilometres with a pillion passenger, to test how our Capra R tyres performed with the additional weight. 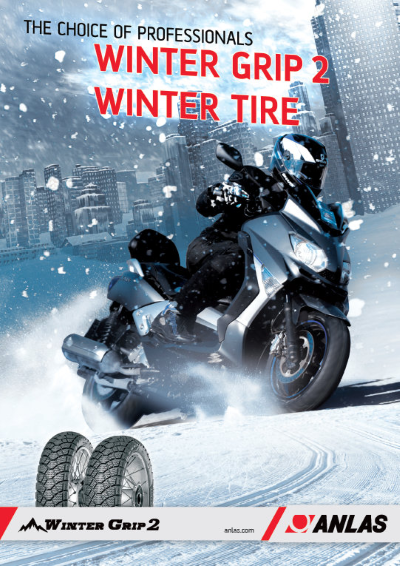 The test rider praised the tyre’s forgiving nature in the dirt, where it reacted well during several cases of ‘rider input error’ both on the brakes and the throttle. Riding on damp terrain, the tyres reportedly did a good job of expelling any mud from the tread, helping to maintain a good level of traction. 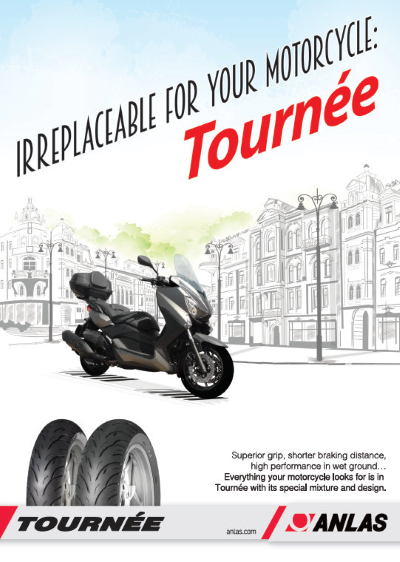 You can read the full review at Motospia.it. View the full range of Capra R sizes.